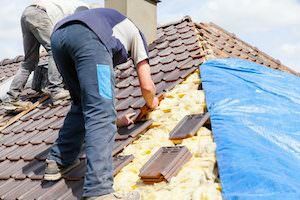 When it comes to fixing or replacing your home’s cover, a majority of the battle is selecting the right roofing company in Roswell, Georgia. After a storm strikes and puddles form in your living room, you want it fixed, fast. But rushing into your selection may cause more harm than good. To avoid even more problems down the line, ensure you hire an honest and trustworthy roofing contractor to do the job right. Ask friends for referrals. You want someone local, with a reputation for delivering with excellence. Plus, local operations are the most familiar with building codes and statutes impacting your home. And they have relationships with other local crews and material providers. Look for manufacturer endorsements. These endorsements, also called designations, are a sign the contractor has passed a minimum knowledge requirement to gain certification. Fewer than five percent of contractors make the effort, so it’s a good sign the operation has a true dedication to superior quality and service. Check the Better Business Bureau and Yelp. If they have low ratings (or no ratings), it’s not worth the risk. Look for someone with experience, who runs an established business in your community, and has good reviews. Ensure the work has a warranty. We’re talking above and beyond what the manufacturer offers. In many cases, improper installation nullifies the manufacturer’s warranty. So, if the roof starts leaking a few years down the road, you want to make sure you can call up the contractor to repair it, free of charge. Ensure the company has the proper licensing, bonding, and insurance. You’ll want to make sure they have coverage for their own employees, as well as any hired help and subcontractors. Otherwise, you open yourself up to a lawsuit in the event anyone gets injured or killed while working on your home. Aim for a minimum of $1 million in general liability coverage, and be sure and check with the company’s insurer that their policy is in good standing and up-to-date. Understand your options. There are a variety of color and material choices for roofing installation. If your contractor doesn’t offer you any options, move along. After all, the roof on your home can have a significant impact on both the aesthetic appeal and resale value of your home. A good contractor will offer you a variety of options to choose from, and be able to talk at length about the pros and cons associated with each. In Need of Roofing Assistance? Contact our experienced team at Hopewell Roofing. We’re e a family-run operation with deep roots in the community and a stellar reputation. 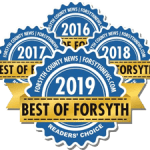 So the next time you’re looking for a roofing company in Roswell, Georgia, just pick up the phone and call our family at 678-771-5372.